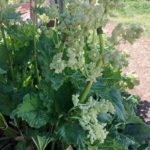 Do rhubarb plants require full sun or can I plant in part shade? Rich soil? I live in the foothills of the Blue Ridge in NC.